810 people read this post. Hakîmul Ummat, Moulânâ Ashraf ‘Alî Thânwî (رحمه الله) was born on 5 Rabî’uth-Thânî 1280 A.H. in the village of Thâna Bhawan. He lost his mother at a tender age and was brought up by his father in a fairly affluent background. His father took great pains in teaching Hakîmul Ummat (رحمه الله) and his younger brother discipline and good character. From a young age he had a great desire for salâh. Even whilst playing, he used to imitate the worshippers eg. he gathered all his friends shoes, placed them in a line, put one shoe in front of the line and expressed his happiness that the shoes were performing salâh. He also had a great inclination to deliver lectures. On his way to the shops, he used to enter any musjid, ascend the mimbar and deliver a khutbah. At the age of 12 he began performing tahajjud and other nafl salâhs and wazîfas. His love for Deen was sown by his initial ustâdh, Moulânâ Fateh Muhammad (رحمه الله). After learning the basic kitâbs by his uncle and Moulânâ Fateh Muhammad (رحمه الله), he proceeded to Deoband to complete his studies and qualified at the tender age of 19 or 20 years. From his student days he became famous for his intelligence and sharp-wittedness. He never wasted his time in futile play and amusement. Such was his burning desire to obtain knowledge that he learnt certain kitâbs which he could not study during class times, from his ustâdhs while they were performing wudû. Hakîmul Ummat’s ustâdhs were all great luminaries of their time. The most important amongst them was Moulânâ Muhammad Ya’qûb (رحمه الله) from whom he achieved the greatest amount of knowledge and spiritual benefit. He learnt qirâ’at from the well-known Qârî Muhammad ‘Abdullâh Sâhib Muhâjir Makkî (رحمه الله) and mastered it to such an extent that it became difficult for the listener to distinguish between the recitation of the student and the teacher. After qualifying, he spent 14 years in Kânpûr teaching, writing and propagating to the people. During this period, thousands of students quenched their thirst at this “ocean of knowledge”. Although Hakîmul Ummat (رحمه الله) was still very young, the people of Kânpûr respected and honoured him tremendously and it was at that time that he became famous. His discourses were greatly appreciated and were being printed in the form of booklets. 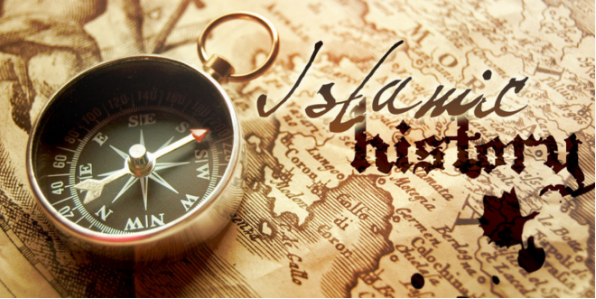 Very few scholars in the history of Islam have had so many of their discourses printed. During his student days in Deoband, he desired to make a pledge at the hands of Moulânâ Rashîd Ahmad Gangohî (رحمه الله) who refused, saying that it would harm his studies. Hakîmul Ummat (رحمه الله) then wrote a letter to Hâjî Imdâdullâh (رحمه الله) in Makkah urging him to make Moulânâ Gangohî (رحمه الله) accept the pledge. Hâjî Imdâdullâh (رحمه الله), by means of a letter instead accepted Hakîmul Ummat (رحمه الله) as his disciple. When Hakîmul Ummat (رحمه الله) accompanied his father for hajj one year after qualifying, he renewed his pledge at the hands of Hâjî Imdâdullâh (رحمه الله). After his return from Hijâz, he continued teaching and propagating while his desire for dhikr intensified. He used to deliver lectures while standing for five to six and sometimes even seven hours continuously. In 1315 A.H. he left Kânpûr and on the advice of his spiritual mentor, Hâjî Imdâdullâh (رحمه الله) returned to Thâna Bhawan. This was all part of the divine plan of the Creator so that the Khânqâh of Hâjî Imdâdullâh (رحمه الله) would once again be re-inhabited. This was the termination of the first phase of his life which was devoted more to religious education. The second phase which began with his return to Thâna Bhawan was devoted more to imparting spiritual benefits to the masses. Hakîmul Ummat (رحمه الله) wrote books in every field whether it be tafsîr or tasawwuf, fiqh or tajwîd. All his works total more than a thousand. In the field of hadîth he did not write any voluminous work directly because he had many assistants. In this way the voluminous “I’lâ-us-Sunan” was written under his guidance. Regarding this kitâb, he said that if this madrasah does no other work besides the writing of this book, it will be a great achievement because it is a unique work. Perhaps very few Muslim homes do not possess “Bahishti Zewar” and “Munâjâte-Maqbûl”, two of Moulânâ’s famous books. His tafsîr “Bayânul Qur’ân” is unparalleled. Moulânâ Anwar Shâh Kashmîrî (رحمه الله), well known for his in-depth knowledge, used to say that after reading Bayânul Qur’ân, he developed a desire to read Urdu books. Although Hakîmul Ummat (رحمه الله) wrote such a large number of books, yet he did not earn a cent from them. All his work was solely for the pleasure of Allâh . He granted full permission to anyone who desired to print his books. Some of his works have been through hundreds of editions. Hakîmul Ummat (رحمه الله) used to say that all praises are due to Allâh because all the essential work has been done. The path towards Dîn has been cleared for centuries. Inshâ-Allâh, his books, discourses and advice will be of assistance in religious matters for future generations. This is all due to the blessings of Hâjî Imdâdullâh (رحمه الله). On 20 Jumâdal Ûlâ 1346 A.H. whilst performing Fajr Salâh, he was inspired about the effects of certain acts. If the Muslims practised these acts, their calamities could be overcome. Hakîmul Ummat (رحمه الله) subsequently gathered 25 principles and had them printed in a booklet called “HayâtuI Muslimîn”. Hakîmul Ummat (رحمه الله) spent his entire life serving Dîn in every field. It is for this reason that he has been conferred the titles of Hakîmul Ummat and Mujaddidul-Millat. After blessing the earth for 83 years with his presence, he passed away on 16 Rajab 1362 A.H. (20 July 1943). The Janâzah Salâh was performed by Moulânâ Zafar Ahmad ‘Uthmânî (رحمه الله). Hakîmul Ummat (رحمه الله) was buried in the graveyard Ishq-Bâzân of Thâna Bhawan. Previous Can mehndi be applied for males?